Lightweight wheel brace. 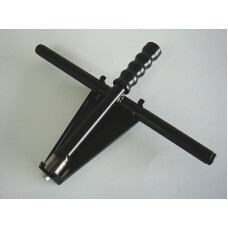 Quick release 19mm wheel brace with nylon spin handle with alloy mounting bracket. Satin black powder coated.